Paws for the Cause Rescue, INC is a 501c3 not for profit dog rescue. 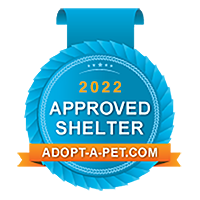 Our mission is to rescue, house, feed, clean and medicate dogs and puppies left, for whatever reason, particularly those in public shelters, where they are at high risk of euthanasia due to overpopulation. We are dedicated to finding suitable, loving homes following a comprehensive adoption process and assuring that these animals are spayed or neutered by their new owners. We are committed to preventing cruelty to and promoting humane treatment of animals and to assist individuals with problems concerning animals and to raise the funds needed to support the work of this organization.